We use observational and intervention studies to address the developmental origins of osteoporotic fracture from molecule to population. 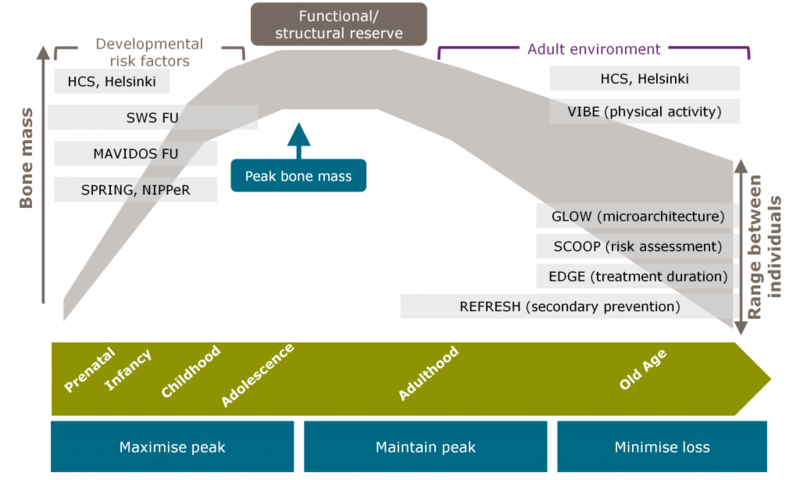 Using state of the art high resolution pQCT (HRpQCT), we are assessing relationships between early growth, and later bone microarchitecture and risk of fracture through follow-up of participants in the Hertfordshire and NSHD cohorts; the genetic contribution to such associations will be studied through genome-wide screening as part of large international consortia. Further study of SWS children at 8-9 and 10-12 years will allow characterisation of growth patterns in relation to bone mass and body composition; acquisition of bone indices in the parents will inform understanding of inherited contributions to bone development. MRC-University of Southampton Epigenetics PhD Studentships underpin the mechanistic investigation of observed relationships. These will permit the discovery of novel targets using innovative bioinformatic approaches to array data, focused investigation of candidate sites and elucidation of functional consequences of epigenetic change, linking findings in perinatal tissues (in relation to early life exposures and postnatal phenotype) with those in adult bone collected during arthroplasty for hip fracture or osteoarthritis. 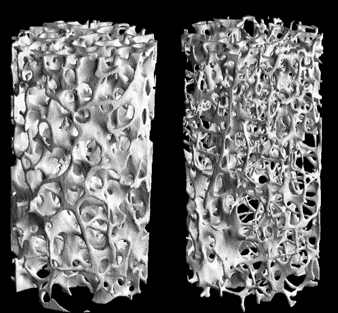 We continue to document the epidemiology of osteoporotic fracture, focusing on the global incidence of vertebral and forearm fracture, and use CPRD, GLOW and UK Biobank cohorts to elucidate novel risk factors for fragility fracture. Follow-up of GLOW participants, together with study of clinical rheumatology patients, permits delineation of microarchitectural changes in bone (HRpQCT) associated with comorbidity and therapy, and we are following MRC SCOOP study participants to assess in greater detail the value of this novel approach to risk stratification. Two randomised controlled trials of prenatal intervention form the programme core: children born to the MAVIDOS study, the first such trial to investigate whether supplementation of vitamin D during pregnancy serves to optimise skeletal development in the offspring, are re-assessed at 4 and 6 years (including DXA, pQCT and venepuncture) allowing the elucidation of persisting and developing effects of the intervention on bone mass, body composition, immune function and health. This is complemented by an innovative new trial addressing the value of lifestyle and dietary modification as an adjunct to vitamin D supplementation (SPRING), and another assessing the impact of pre-conceptional micronutrient/myo-inositol/probiotic supplementation on neonatal bone mass and body composition (NIPPeR; Programme 4). Our strong linkage with the NIHR Biomedical Research Unit in Musculoskeletal Science, University of Oxford, affords consolidation of our research theme addressing the lifecourse epidemiology of osteoarthritis; we study determinants of initiation and development of this disorder, risk factors for arthroplasty failure and the outcome of arthroplasty in people with inflammatory arthritis.